After surviving the Hunger Games, Katniss (Jennifer Lawrence – Silver Linings Playbook) and Peeta (Josh Hutcherson – The Kids Are All Right) still maintain the illusion of being a loved-up couple whilst they do a promotional tour of the Districts. Realising that Katniss holds a very real threat of galvanising the Districts to revolution, President Snow (Donald Sutherland – Don’t Look Now) decides to initiate another Games made up of past winners in an attempt to kill Katniss and crush any hope of resistance brewing within the masses. 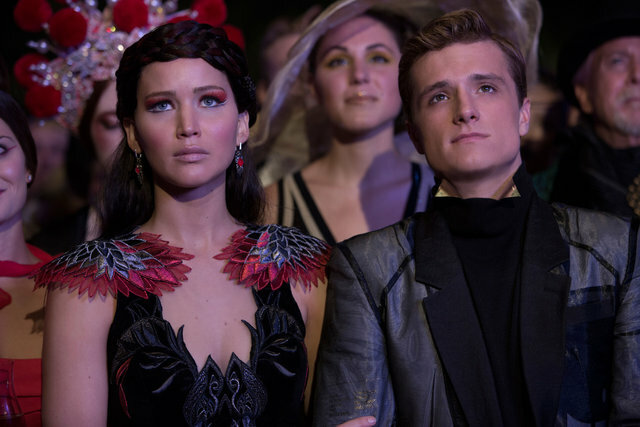 The Hunger Games: Catching Fire finally arrives on DVD & Blu-ray after an agonisingly long wait. Having not read the books doesn’t hurt the viewing experience one bit as this is a very faithful translation of the second book and one that gives every character due respect. Along with its breathtaking visuals, The Hunger Games: Catching Fire has a massive emotional core that makes it a near-perfect story. It also saved last year and easily became the best blockbuster movie of 2013. Jennifer Lawrence is on everyone’s lips right now. The über talented, beautiful young actress has created an enviable career for herself with amazing leading turns in every project she tackles. After deservedly winning the Oscar for her scene-stealing turn in Silver Linings Playbook, Lawrence returns to this franchise with renewed energy. She is a revelation here and leads the line with authority, grace and humanity. It’s a wonderful star performance that makes this sequel such a massive success. The double-act of Liam Hemsworth and Josh Hutcherson both give Catching Fire a wonderfully absorbing dynamic. This is a love triangle with no easy answers and no paper villains. 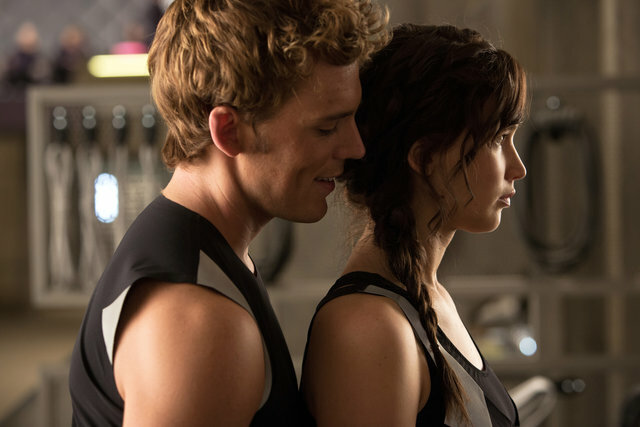 Both men are ideal suitors to Katniss and both share a beguiling chemistry with Lawrence onscreen that’s a joy to watch. Rivalling (and perhaps even bettering) the Jacob, Edward and Bella triangle from Twilight sees to it that the love story at the heart of The Hunger Games is always the deciding element. As great as the action and drama is, it’s the love story that keeps us completely hooked. The supporting cast are all wonderful too and give the film undoubted quality throughout. Donald Sutherland commands the screen with guile and contempt and is a joy to watch. Woody Harrelson, Lenny Kravitz and Elizabeth Banks all further their respective stories with meaningful character growth whilst Stanley Tucci always raises a smile as the flamboyant host Caesar Flickerman. There are plenty of new additions to the cast of Catching Fire and all do their characters justice. Jena Malone, Sam Claflin, Jeffrey Wright and Amanda Plummer all give the film new dynamics to explore, especially during the training scenes and subsequent games. Then there’s Philip Seymour Hoffman in a scene-stealing role as the creator of the games who has his own agenda to implement. The scenes between Hoffman and Sutherland are a master-class in acting too. The film has enormous scope right from the start. From the barren, war-torn districts to the sleek empire of The Capital, Catching Fire has a big visual style and the quality to make it all believable and convincing. The setting of the games, a jungle island, is a terrifying and stark environment full of memorable moments and unforgettable action. Again, this is where Lawrence really excels as she gives every action scene a believability and fragility that makes it all the more compelling. Particular highlights include the poisonous fog cloud descending onto the jungle at night and the scary baboon fight that leaves you shaken and stirred. 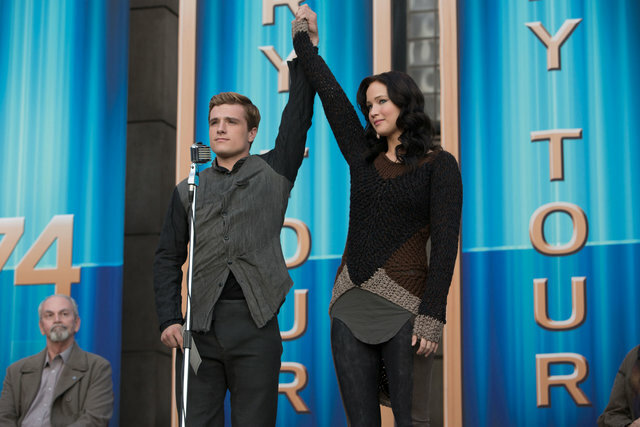 The Hunger Games: Catching Fire is one of the best sequels you’ll ever see. Full of emotion, action, adventure and romance, it’s everything the franchise needs to cement it as the undisputed successor to Harry Potter and the Twilight saga. With a cast all delivering their A game and woman of the moment Jennifer Lawrence handing in one of her strongest leading roles to date, The Hunger Games: Catching Fire is a resounding success. We cannot wait for part 3.